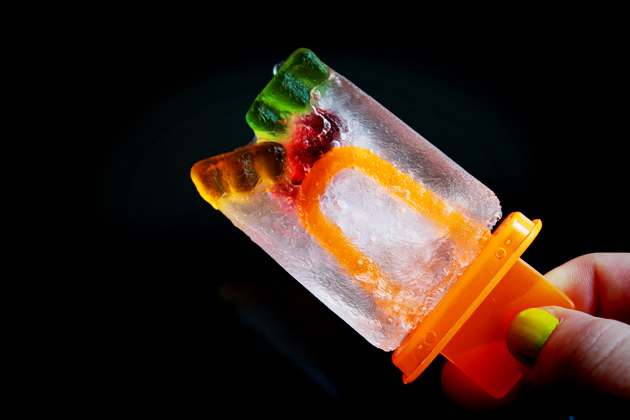 All you basically need to do is to drop about 5-7 gummy bears in each of your popsicle molds, fill the molds with sprite, place a popsicle stick into each mold and freeze all the way through (I recommend overnight). 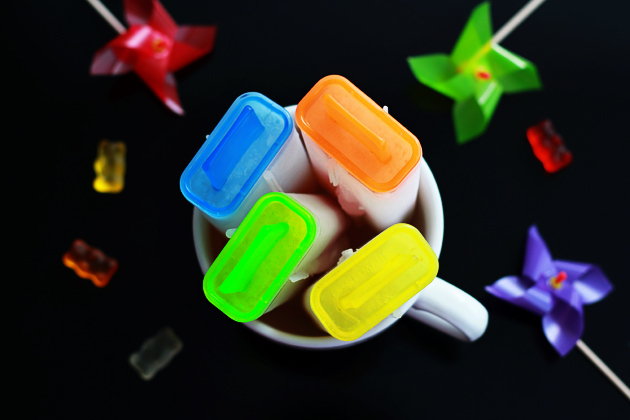 Enjoy this happy summer treat! Great fun and lovely photos, Petra. A real treat. Ha ha, funny colourful idea. Excellent! I am sure they taste refreshing. 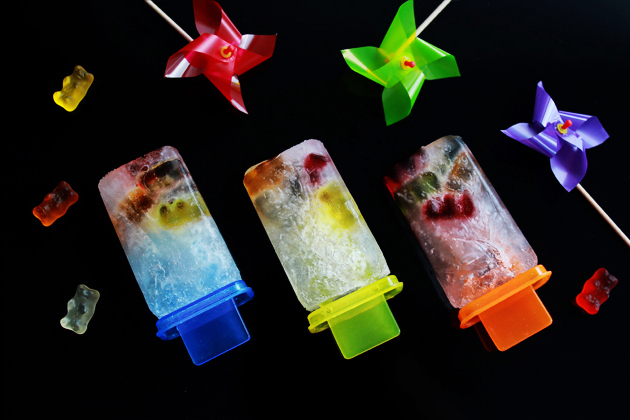 What a fun and colorful way to cool off!!! Oh sorry to hear that but when I tried it out they worked perfectly and were delicious and a great summer treat.